One of the most common questions guys with facial hair have is how to make your beard soft. There are plenty of men out there who think that having a dry, rough beard is a given. But the truth is, there are many ways to soften a beard and keep it healthy, shiny, and smooth. This guide will teach you exactly how to get a soft beard and maintain it naturally with organic, high-quality products. 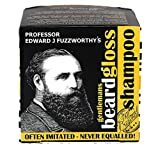 But not only will your facial hair become softer, these steps will also prevent dandruff, stop itchiness, moisturize dry skin, minimize irritation, and generally help you grow a longer, thicker beard. Here are 5 ways to make your beard softer. The best ways to soften your beard rely on basic care and beard products. Here are the steps to a soft beard. Wash your beard with beard shampoo and conditioner. Washing your beard with all-natural products that cleanse, hydrate, and condition both your hair and skin is a critical first step. Here are the best beard shampoos and conditioners to get. Apply beard oil and balm after a shower. Once you’ve towel-dried your facial hair, use an organic beard oil to further moisturize. Put a few drops in your hands and massage your beard, working the essential oils deep into the roots and down to the skin. To lock in that moisture and keep your beard smooth, shiny and conditioned all day, apply some good beard balm after. Use a beard brush. 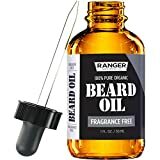 Guys will need to brush their facial hair to distribute the oil and balm evenly as well as stimulate and spread the natural oils of their skin. Brushing and combing your beard will also remove knots and tangles to keep your hair straight and smooth. 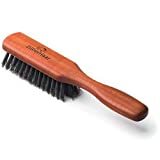 We recommend boar bristle brushes and handmade combs for the highest-quality experience that won’t damage your hairs. Trim your beard. 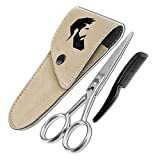 Trimming your beard occasionally with shears helps to reduce split ends, thereby stimulating growth and allowing your hairs to continue growing. Be healthy. Proper diet, exercise and sleep are crucial to hair growth on your head and face. Let’s dive into the details of how to make and keep your beard soft naturally! We’ve also included a list of the best beard softening products available on the market today. If you want a nice, clean beard, you’ll need to use these natural beard care products in your everyday grooming and styling routine. You need to wash your beard at least a few times a week. 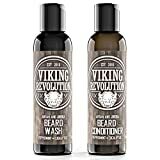 In addition to cleaning your beard by removing dirt, grime, grease and bacteria, good beard shampoos and conditioners hydrate and moisturize your hairs for a healthy look and feel. Preventing dryness is the only way to soften your coarse beard hair. Just remember to pick a shampoo and conditioner with all-natural ingredients, especially if you have sensitive skin. There are plenty of benefits to using beard oil and balm. For starters, beard oil hydrates and moisturizes your hair follicles and the skin underneath, preventing flakiness, dandruff, and beard itch. Furthermore, regularly applying a high-quality beard oil will nourish, soften and tame your beard hair. For intense hydration and conditioning, use beard balm too. Beard balm is made of a few primary ingredients – beeswax, butters, carrier oils and essential oils. Like beard oil, balm will hydrate and moisturize to soften your hairs. But the added advantage is that the butter and beeswax are thicker ingredients that offer a bit of hold and styling. If your facial hair feels rough, looks dull or is constantly tangled, a good oil and balm combination is the simplest solution. We recommend you use these essential products after every shower for best results. After you apply beard oil or balm, it’s important to spread the essential oils all across your facial hair and face, especially if you have a thick, long beard. 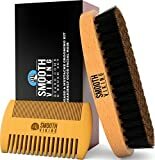 In addition to styling, a good beard brush or comb will help make your beard softer and smoother. For instance, the reason many women brush their hair is to prevent knots and kinks from forming. Although most men don’t have this problem, it’s essential to realize that even the smallest tangles in your beard, mustache, and sideburns will contribute to an overall bristly feeling, preventing you from achieving that soft texture. By regularly combing your beard, even for just a few minutes each day, you can prevent your beard from growing messy and matted. Straightening out your beard hairs in this way will not only lead to a softer finish, but also clean your facial hair. Trimming your beard is also vital in maintaining soft facial hair. Not only are unkempt beards more likely to tangle up or grow out curly, but they are also likely to split. Split ends are sure to leave your beard hairs feeling rough and bristly, so finding the time for the occasional trim can maintain your beard’s health. However, instead of a beard trimmer, make sure to use scissors or shears for more control and a clean cut. Good nutrition, regular exercise and enough sleep are crucial to beard growth and softness. As with most things relating to your body, a healthy lifestyle can make a huge difference. 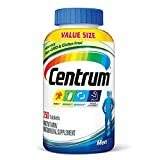 Feed yourself a balanced diet with a wide range of vitamins and minerals, sleep for a minimum of 7 hours each night, and exercise regularly to increase testosterone productions and blood circulation. 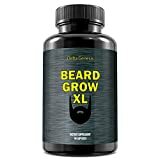 Some men may want to consider taking a multi-vitamin to improve intake of certain key nutrients such as biotin, zinc, and Vitamin E.
Keeping your beard soft doesn’t have to be difficult, or even time-consuming. In fact, most of the suggestions we’ve given above are general rules to proper beard care, so it’s no surprise that these steps will get you softer facial hair. If you wash, condition, brush, trim and lead a healthy lifestyle, you can expect a smooth, shiny beard in days!